Disclaimer: I am a Sesame Place Ambassador blogger. I was not compensated for this post but I have been provided with a 2015 Season Pass for myself and complimentary admission for my family. We’ve been visiting Sesame Place for years. It’s one of our favorite family destinations. What I love about Sesame Place is that it’s not too overwhelming for kids (or parents). For local families (like us) it’s an easy day trip or a fun overnight stay. And it’s not just a warm weather destination – it’s open until from May through December and there’s so much to do. However for autism parents visiting someplace new can bring about uncertainty. I remember our first trip to Sesame Place, we had no idea what to expect. So I put together a list of tips, tricks and things you need to know before you go. Prepare. I always like to know where I’m going and plan ahead. 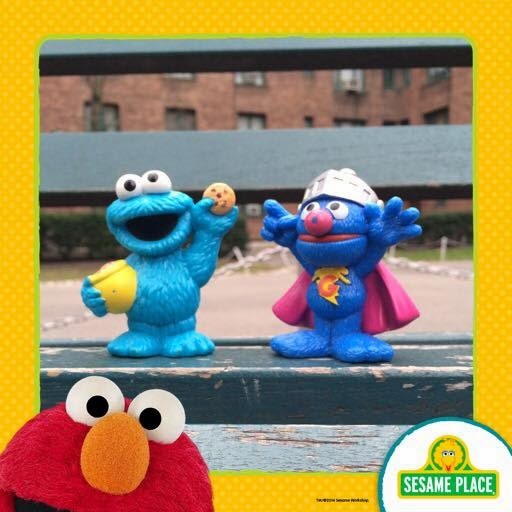 Visit the Sesame Place home page or the Sesame Place YouTube Channel with your child and show them the park. Food is not allowed inside park – however there are some exceptions (baby food and small coolers – check site for size specifications). However there are picnic areas located right outside of the park where you can eat your picnic lunch. There are plenty of plenty of places to eat within the park and opportunities for a Character Dining experience (reservations should be made in advance). Need to Know: Sesame Place is ‘allergen-friendly’ – for more information, please visit Food Allergen Information. Sesame Place also encourages guests to fill out a ‘Chef Card.’ The Chef Card is a valuable tool for any guest suffering from food allergies. The template allows you to create a card to that outlines the foods that you need to avoid. Even if you don’t know whether or not your child will do the water rides – and regardless of the weather – BRING YOUR SWIMSUIT & TOWELS. It’s better to have it and not need it, than need it and not have it. Trust me, I speak from experience. Though the towels do make fun keepsakes. Tip: You are able to leave and reenter the park with the hand stamp but locker rentals are only $13.00. It’s a small price to pay for convenience. Create a Schedule. 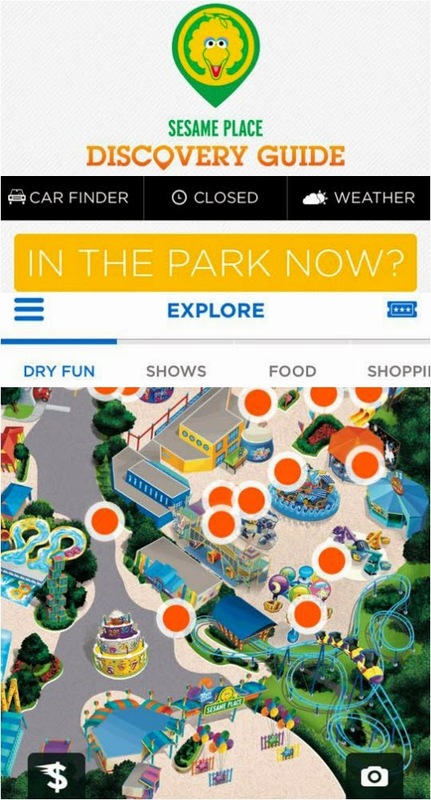 While on the Sesame Place homepage, be sure to explore the Dry Rides, Wet Rides and the Park Shows and Parade. Figure out a what rides and attractions your child will want to see and create a game plan on how to best navigate the park. (Pay attention to height requirements and/or restrictions.) 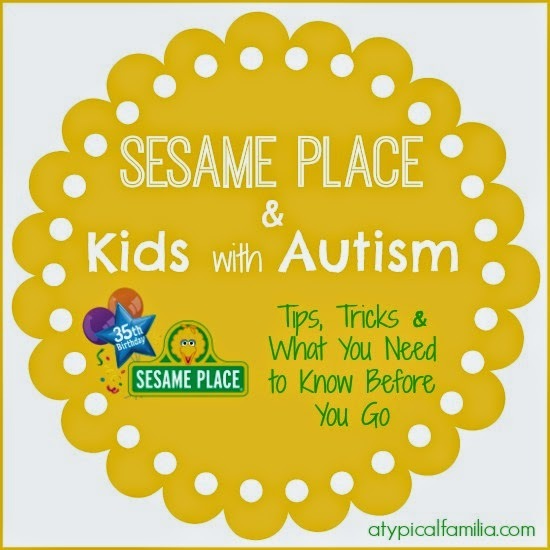 Visual schedules are great for kids with autism – create one specifically for Sesame Place that they can keep in their pocket. Trick: The app is a cool way to share photos right to your social media accounts. Once in the app, click on the camera in bottom right corner. Your pics upload in the cute frame of your choice and it’s ready to share. Plan to arrive at the Park when they open. Sesame Place opens at 10 am. Arriving when the park first opens, makes navigating the park so much easier and less stressful. You can easily explore all the dry rides easily within a couple of hours before the park gets too crowded. You can spend the rest of the day, wandering around and going on rides a second or third time, get a good spot for the Parade or catch a show. Tip: Hit all the water attractions first before the park gets too crowded. Then dry off, have lunch and check out the dry attractions. Trick: Ride the dry attractions during the Parade times, lines are usually shorter. But if you want to see the Parade (which you should – because it’s amazing!) start making your way toward the front of the Park 45-30 minutes before show starts -that’s where the parade begins. Need to Know: There is a designated area for disabled guests along the parade route. This area is on the east side (river side) of the parade route, adjacent to the Boy’s River Restroom. While this area was established to provide mobility impaired individuals and their families a place to view the parade, those with a mobility impairment may choose any other location along the parade route as well. Visit Welcome Center upon arrival, register for the Ride Accessibility Program and get a wristband. Sesame Place makes every effort to accommodate guests with special needs. Wristbands will be provided at the Welcome Center for all disabled guests who enroll in our RAP program. The wristbands allow for the disabled guest and their party to be noticeable to our employees, allowing for immediate assistance on and off of attractions. The majority of rides and attractions at Sesame Place have special accessible entrances. Special accessible entrances may be used by our disabled guests and up to three other guests (except where noted). For more information visit the ACCESSIBILITY GUIDE page. Need To Know: On busier days, you may be given a boarding time to return. Our water attractions that allow for special access are Sky Splash, Slimey’s Chutes, Sesame Streak, Slip- pery Slopes, Bert and Ernie’s Slip and Slide, and Big Bird’s Rambling River. On busier days Special Access may be limited during certain hours which will be communicated by the Welcome Center.